In honor of National Tartan Day (April 6th), celebrating Americans of Scottish descent, Ciclismo Classico is offering a $200 discount per person on their brand new Bike Across Scotland tour package. What better way to see Scotland’s breathtaking scenery than riding along its beautiful seaside coasts and lochs, through its verdant hills, dramatic munroes and bucolic villages? 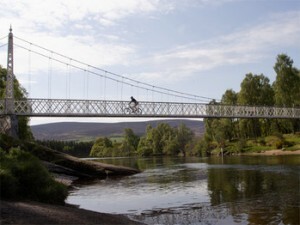 There are two options for eight-day rides, which will be departing from Inverness in the Highlands on June 18th or August 6th, and covering 250 miles before ending in the coastal village of Gairloch. Why book now? 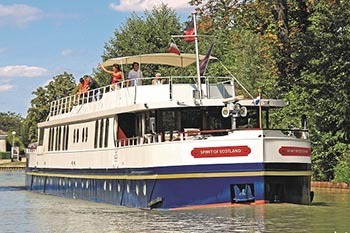 This sizable discount is ONLY available for bookings made during Scotland Week 2011, which runs from April 1-7. Package highlights include: Eight-days of cycling June 18-25, 2011 or August 6-13, Accommodations at three- and four-star country inns, Rides along lochs, islands, forests, and mountains, including the highest pass in the UK, opportunities to view local wildlife, ranging from dolphins to osprey, a tour of the 13th century Urquhart Castle along the banks of Loch Ness, A taste of Scotland with locally-sourced and seasonal dining experiences, and a whiskey tasting at one of Scotland’s oldest distilleries in Glen Or.